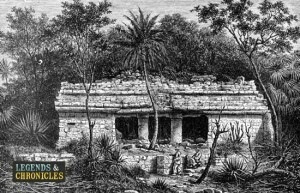 The Aztec home was basic and simple, perfect for your average ancient Aztec citizen, who would typically spend most of their day outside, the house would simply provide a refuge to sleep at night and to store any possessions the Aztec would own. Aztec homes were typically built based on their social class, defined as to whether they were commoners, the macehualtin or nobility, known as the pipiltin. The type of dwelling of the Aztec symbolized their status in their tribe, and each would have certain guidelines and standards to adhere too suitable for their class. It was important in the Aztec society that your status was easily identifiable and this also affected their buildings and homes. Aztec Homes for regular people and commoners, who were mostly workers or macehualtin were scattered at the outskirts of the city. The houses differed only in size and decor from the more plush nobility houses. The general form of the homes was simple, there was a main house and then typically there was a separate building for the steam bath. Aztec houses were only one floor and they could house up to twelve Aztec people. In the highlands, dirt or mud and water, known as adobe made up the brick walls of the house. These foundations supported the roof that would be made of plant stalks or wood. In the lowlands the Aztecs used clay to hold branches together, which would form a much more simple roof construction. Some Aztec houses had peaked roofs, while others had flat roofs, and the material used were typically thatched but sometimes would bear a fancier structure. In some cases an Aztec house might be elevated and built on a platform made using wood as brace, with earth, clay and sand mixture that hold them together. Those huts and homes built on platforms were about typically around 40cm off the ground, providing a safety clearing for any creatures that might otherwise wander into the hut, a nice feature in the what was really jungle territory. The home of the Aztecs were typically just one big room that had a large sleeping area that was shared by everyone. This primary room would sometimes be divided or sectioned off while remaining open. One such sectioned area would be a tiny shrine which was basically a table with idols or figurines of different gods. Another section of an Aztec house was the kitchen, used obviously for preparing food. Most kitchens have a metlatl, which was a flat stone for grinding corn, and a comal, a clay dish for baking tortillas. Lastly, there was a gathering area which would also served as the dining area for the Aztecs. Aztec furniture was simple and often sparse, they had reed mats to sleep on or sit on and low tables for eating or doing small jobs or crafts on. The Aztec however were fans of clothing, and wooden chests were used to store clothes. An interesting and notable fact was that the houses did not have doors as theft was very uncommon among the Aztecs, the small knit community meant that crime was not a particularly wise move. Whiles the Aztec people saw a house as a place to sleep and eat, spending most of their lives outdoors, there as a part of the home that was very important to them. This was the temazcal. Typically adjacent to the main house was the temazcal, a steam bath area. A chimney type furnace heated the walls of the bathroom, and steam was created by pouring water at the hot walls. This early type of sauna was a place the Aztecs could relax, the Aztecs were clean people, and the steam baths were therapeutic and often endorsed by the Aztec doctors. 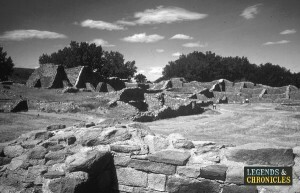 The Aztec nobility, which included warriors, had grander homes that were located near the temple near the main square. Much like modern times, the house symbolized status, and this was just as true in Aztec times as it is now. The lavish structures owned by the nobles, sometimes called palaces, differ from the regular houses in decor, size, and the materials utilized. The common Aztec building material was generally made up of sun dried brick or a mixture of cement, sand and lime. For a noble, the entire house could be made entirely of stone if they were extremely rich. The outside walls were white washed to make them look clean. For the inner walls, a plaster called stucco may be applied and then painted with bright colours and designed with intricate murals. Interestingly, by law, nobility were allowed to build a second floor to their homes. If the ordinary Aztec citizens did this, they would be executed. Compared to the simple homes of the commoners, The house of the Aztec nobility would have had several rooms. The large houses often had a courtyard in the middle or a small garden, and they could even include small decorate features like a small fountain, or a selection of statues and garden areas. Although most houses in the Aztec cities had Steam baths, the temazcal was even more popular with the nobles than the commoners, as the nobles had more time for leisure. The architecture of the ancient Aztecs is headed up by their amazing temples and pyramids. These powerful and enduring structures are almost a legacy to the ancient Aztec people, standing the test of time to this day. Aztec architecture is also notable for its use of sculpture and detail work, the artistic flair of the Aztec people was evident and this shows through in their naive and beautiful detail work that littered their structures.